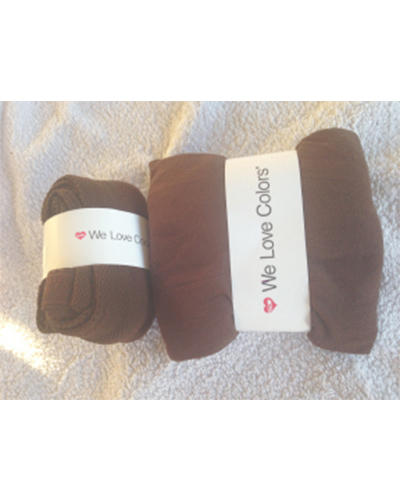 ‘We Love Colours’ sell tights, leggings and fishnets available in a range of colours — some of them FleshTone. Our favourites are the Plus-sized Nylon/Lycra Fishnets in Brown (15% Lycra) and the Nylon/Lycra Solid Colour Tights in Mocha. The Solid Colour tights are 70 denier opaque full-footed tights with 18% Lycra. A great option when your budget is limited and you do not require any real longevity from your legwear. Prices start from $10USD.